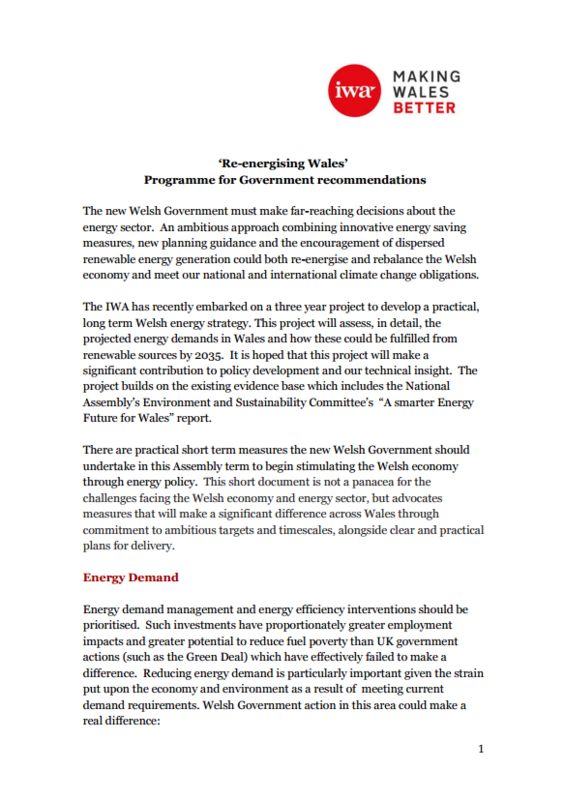 The ‘Re-energising Wales’ project outlines eight key recommendations for Welsh Government on their energy policy over this assembly term. The ‘Re-energising Wales’ project is managed and coordinated by the Institute of Welsh Affairs and funded by the Jane Hodge Foundation. The full list of recommendations can be accessed for free here.